Roll out the red carpet! It’s Oscars weekend, and the party is ON. 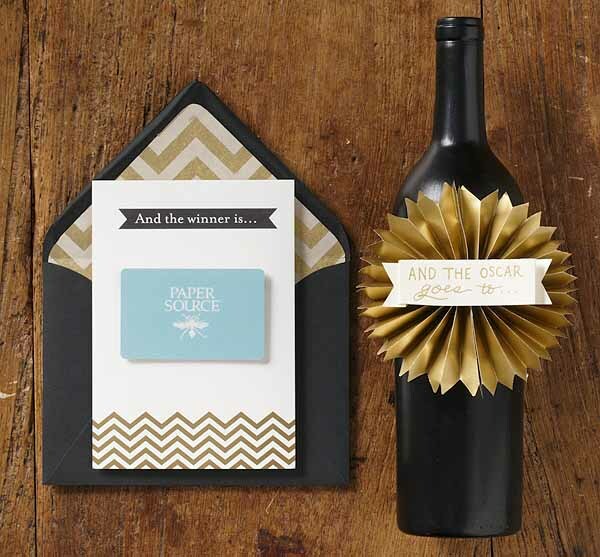 Set the scene with a little DIY Oscars party inspiration from Paper Source! Bring the glamour of award season to your home with bold golds. 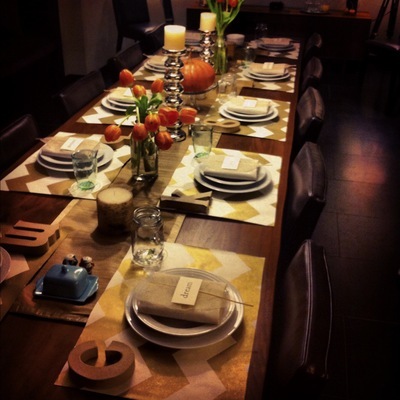 This Friendsgiving Tablescape, created by a Paper Source Holiday Craft Contest winner, provides the perfect backdrop with our Chevron Table Wrapping Paper. 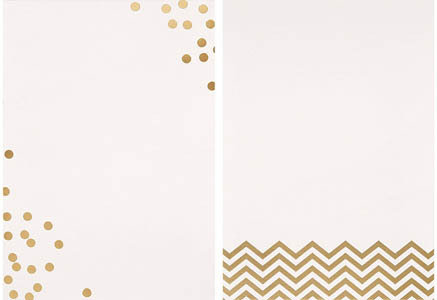 Use Gold Chevron or Gold Confetti invitations to further accent your event. 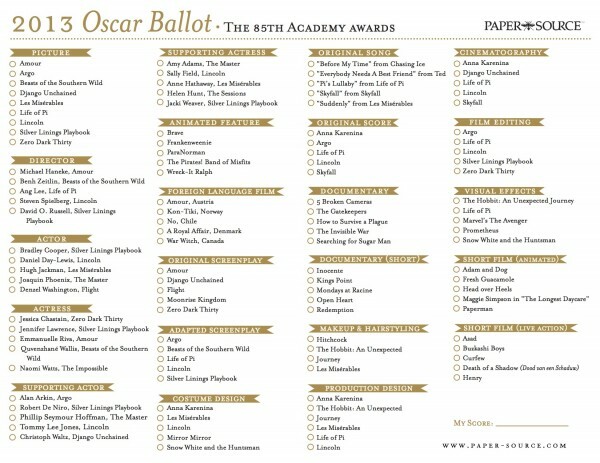 Print your menu, use as place settings or create an Oscars watching game. While you’re watching the red carpet, have each guest fill out their guesses for this year’s winners. Throughout the show, attendees can keep track of their votes. Up the stakes by pooling a cash prize or simply supply your own prize (like a PS Gift Card). Once all winners are announced, the guest with the most correct votes takes all!